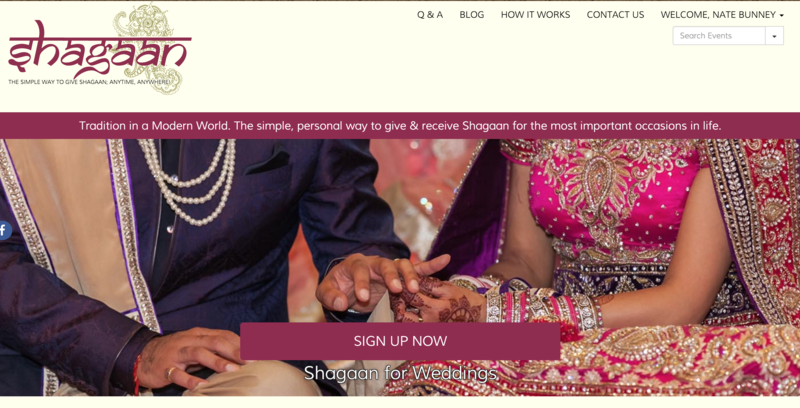 Inventaweb is excited to announce the launch of Shagaan.com. Shagaan.com is a crowfunding website leveraging the power of the WePay API. The system allows users to create an event, whether a wedding, graduation, birth, or other life event and invite others to donate to it. This sort of giving is traditional in the Indian culture and is called "Shagaan". This site seeks to make giving and receiving gifts for lifes events easier while still retaining a personal touch. We worked with Gerbo Designs on this project and were thrilled with the quality of logo and design elements they produced.